Come and join the buzz... This year Guru Dudu and his Village People have teamed up with WA Museum and will be dancing around Northbridge and Fremantle to the theme of BUZZY BEATS - encouraging you to BEE YOURSELF. Everyone wears headphones (supplied) and can hear the hilarious commentary and the dance-mix of uplifting favourites from the 70's, 80's, 90's & 00's. We make spontaneous flash-mobs around city icons, and will be learning some fun anecdotes about bees who have their own ways of making music and dance. Please come light-handed and wear comfortable dancing shoes. Arrive 5 mins early for setup. Check out the website for more info, schedule of tour guides and Australia Day weekend info. We will stay dry if it rains. Bring your mob - it's great fun to dance with friends and family! Guru Dudu's Silent Disco Walking Tours was created by David Naylor in Melbourne in 2013. He found a perfect fusion of his passions and talents for facilitation, community engagement, theatre improv, comedy, dance and placemaking. 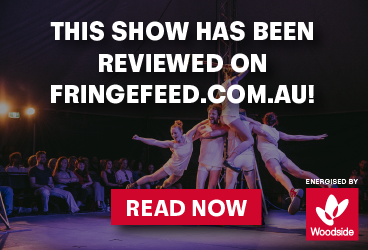 Over the last 6 years, Guru Dudu and his team have toured all over Australia and overseas with great success, including selling out at the last three Edinburgh Fringe Festivals. It has now evolved into a performing arts company with branches popping in cities around the world.